Media Archives - Build the Brand. Protect the Brand. Food, Drinks, Fun? We’re in! 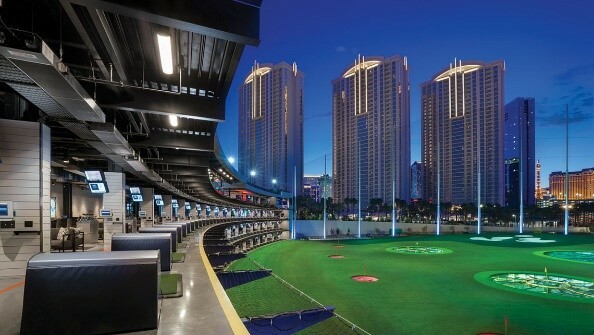 Or should we say “We’re game!” When Topgolf opened its Las Vegas location in May 2016, R&R Partners was selected as its agency of record for media planning and buying. We developed a new media strategy that not only helped evolve the Topgolf brand, but also helped keep up with the brand’s rapid growth. This successful partnership helped Topgolf quickly became one of the best new attractions in Las Vegas, and gave R&R the opportunity to meet with executives at Topgolf’s home office in Dallas, Texas. We jumped at the opportunity to showcase what R&R could do, and are happy to announce that we’ll be developing and executing a media strategy that will support 28 Topgolf venues currently open in the United States. The full-funnel media strategy includes traditional and digital media, with a heavy emphasis on paid social and video. R&R will also be working with eight other Topgolf venues that will be opening later this year, including locations in Nashville and Orlando. We’re excited to bring our tourism, entertainment and convention knowledge to the table, to make those openings a huge success, just like in Las Vegas. If you haven’t already, grab your friends or family and check out your local Topgolf. If golf doesn’t do it for you, go for the great food (injectable donut holes!) and great drinks (Tipsy Palmer). And if you don’t have a local Topgolf, just wait, it will most likely be coming to your city soon! What trends are shaping media buys and our clients’ industries? We’re taking an inside look at online gaming legislation, Nielsen’s findings on the LGBT consumer, Millennials and their media consumption habits, and a recent press release event hosted by the agency. Currently, Nevada, New Jersey and Delaware are the only states with legally regulated online gaming. January 2015 saw California Assemblyman Reggie Jones-Sawyer introduce a bill known as the Internet Poker Consumer Protection Act of 2015, hoping to bring California out of the gray area, described as not illegal but unregulated. Simply, the bill would regulate online gambling while ensuring the protection of California players. In the beginning of August, many world-reknown poker players gathered for a tournament in American Canyon Napa to support the initiative “Let California Play.” However, with all the support this movement has gathered, there are still many obstacles in the form of Native American tribes, backlash from opposing politicians, and even disagreement within the pro-iPoker camp. While progress has been made, California still faces an uphill battle. Once a neglected and possibly underserved target demographic, the latest U.S. Census data reports that Millennials (born between 1982 and 2000) now outnumber Baby Boomers 83.1 million to 75.4 million. Representing more than one-quarter of our nation’s population, Millennials are more diverse than previous generations with over 44 percent belonging to a minority race or ethnic group. 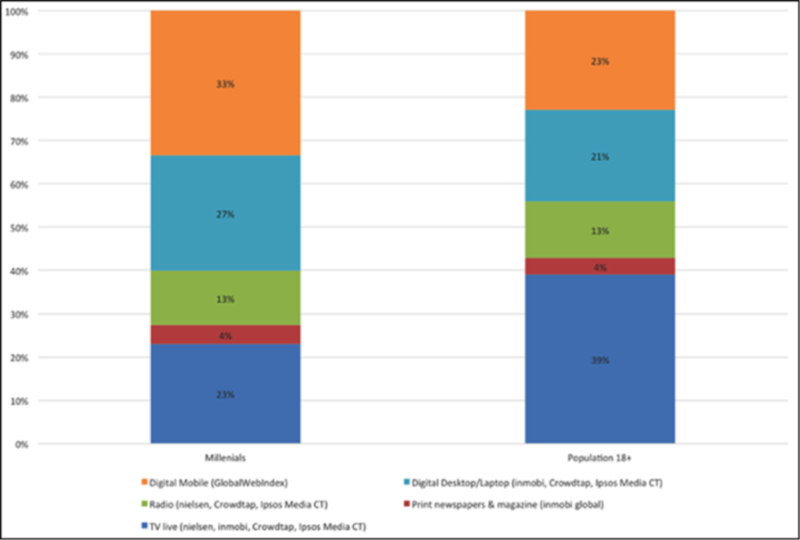 The currency of the media industry is attention and with media consumption habits varying across different age groups, it is imperative to recognize and then segment the target demographic(s) accordingly rather than a one-size-fits-all approach. The following graph displays the percentage of time spent per day with each medium, comparing Millennials versus the overall population. Nielsen recently released its LGBT Consumer Report in honor of this summer’s Pride celebrations. The goal, highlights the LGBT consumer and displays the impact they have on numerous industries. These consumers are described as trendsetters and tech-enthusiasts, showing “unique levels of engagement across various consumption areas.” This update illustrates the LGBT audience’s impact on media combined with their purchasing behavior as consumers in relative fields to the resort/hospitality industry. 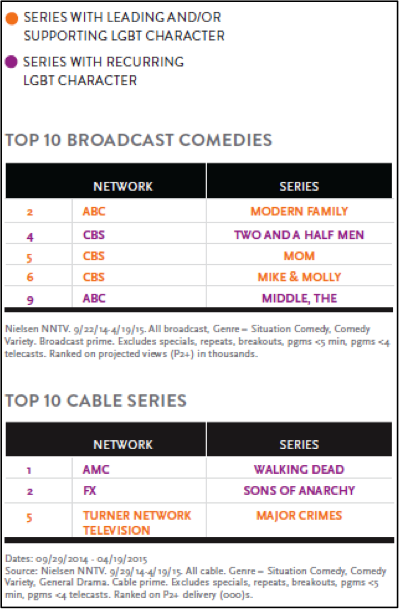 Content is key in capturing an audience, cable and network TV and recognize that 72 percent of viewers are watching a show containing a lead, supporting or recurring LGBT character as outlined in the following graph. Across all music channels, the LGBT audience shows higher levels of engagement than non-LGBT. Overindexing in subscribing to streaming music services (126 i.e., 26% more likely) and going to see a DJ they know perform (150 i.e., 50% more likely) further solidifies their description as tech-forward trendsetters. Transitioning from media consumption to a hotel-related consumer field, there was one purchase category (useful for when you have acquired this guest on property) that cannot be ignored − food and beverage. Alcoholic beverage categories within the audience showed a significantly higher household spend when comparing against non-LGBT households. Wine indexed at 148, liquor at 135 and beer at 127, prompting the question of whether there could be an introduction of a more diverse creative and content campaign in the F&B segment. Former Nevada Congressman Steven Horsford recently announced that his firm R&R Resources+ will lead the brand marketing efforts for MGM National Harbor, the $1.3 billion gaming resort under development in Prince George’s County, Maryland. The project is scheduled to open in the second half of 2016. Through its status as an independently owned minority business enterprise (MBE), R&R Resources+ will be charged with a specific focus on diversity marketing, corporate social responsibility and workforce strategy, assisting MGM Resorts International (MGMRI) in developing authentic minority outreach and partnerships in the capital region. MGM National Harbor joins the R&R Resources+ portfolio of clients. As a minority investor in R&R Resources+, R&R Partners will also join the MGM National Harbor project, bringing its unique brand of travel and tourism expertise. 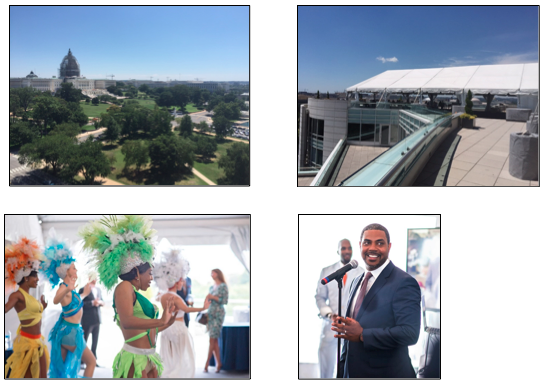 In honor of the new partnership, R&R Resources+ joined R&R Partners to host a launch event on the rooftop of the R&R Resources+ headquarters in downtown D.C., overlooking the Capitol Building. Among the guest list of more than 300 confirmed attendees were esteemed members of the media, political figures and MGMRI executives, all who gathered to celebrate the joyous occasion. See photos from the event below. 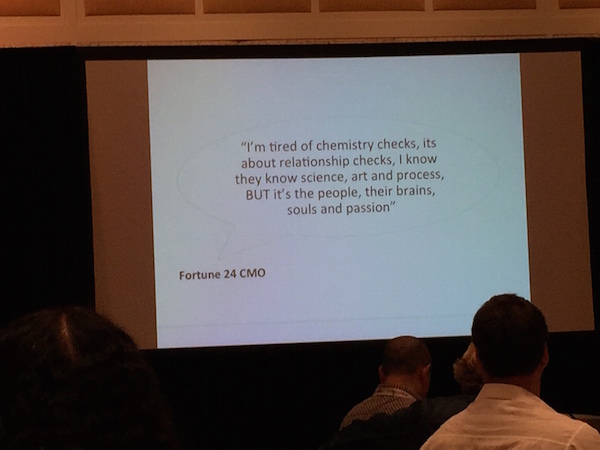 The most recent iMedia Agency Summit focused on the agency model of the future. This tends to be an ever evolving debate in an ever changing marketing universe. Do you specialize in one area? Be all things to all people? Partner with other shops or go it alone? With the rise of procurement departments at the same time as programmatic solutions that promise efficiencies, there seems no better time to have this conversation. This conference always kicks off with a special day dedicated solely to agency folks. Most everybody in the room is a Director or higher, from agency’s owned by holding companies down to 10 person independents. The basis of the day is to have an open and honest conversation about this great industry in regards to the conference topic. 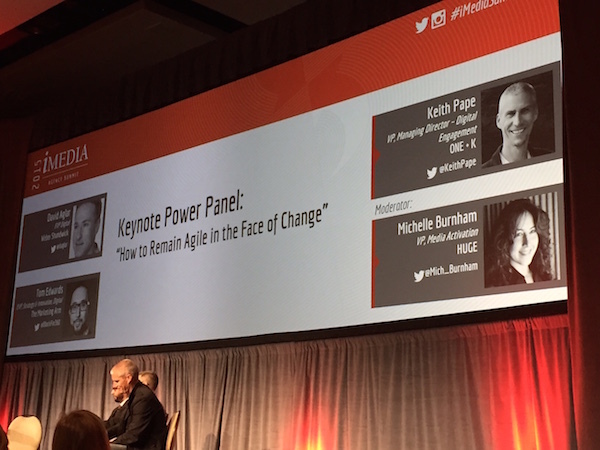 Once again this day did not disappoint, you could feel the passion among these agency leaders which lead to some spirited conversations and great learning. One area of concern in the ad community continues to be training for staff and finding the right talent. While a number of folks resorted to the usual comments such as, “we don’t have time” and “we run so thin, it’s sink or swim”, a handful of people had some great solutions. One that stood out was an agency’s no interview rule. They simply have a handful of people come in with each getting pared up with a mentor and begin working. Every 4 hours the mentor checks in with the department head and makes the decision to keep going or cut bait, eventually landing on one candidate. They are in a sense looking at two things, how does this person fit within our culture and what is their work product like? Next up was a great conversation with Jon Raj from Cello Partners, discussing the agency search process and what brands are looking for and saying. Turns out it’s a little of everything. You have Best Buy and other brands moving away from the standard AOR model and going towards project work. You have more and more brands embracing independent agencies that display great thinking, along with a certain level of trustworthiness. Two things that can get lost at times. The bottom line: build trust, be transparent and collaborate internally to bring great ideas forward. The theme over the next two days focused mainly on evolving the agency model and the ways in which we target consumers. Lots of insight from the clients in attendance continued to focus on building trust, bringing good ideas forward and providing real insights, not just data. 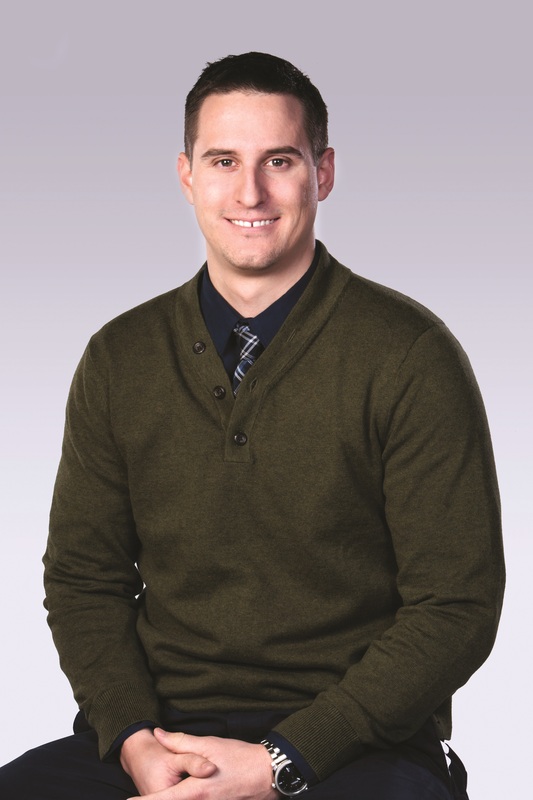 One quote in particular stood out, “the difference between agencies is declining, so it’s not what I require but more about how you can solve my business needs”. In terms of building out your agency team with focus on specialty areas, some agency leaders found it hard to grow the knowledge while maintaining the current level of work. The solution in these cases centered on finding a niche agency, buying them and folding it into the current shop. The main concern in these cases was clashing cultures and how to mold together. The consensus was to include more people in the process and get them working together early, before a deal is even done to ensure a cohesive environment. The other big discussion revolved around Millennials and Gen Z and how they will not only impact the marketing business but also from a consumer standpoint. Ann Mack, the Director of Global Content and Consumer Insights for Facebook was on hand to present a recent study on these two groups. The results were very telling of how the industry is, but still needs to shift in terms of thinking and engagement. The top three areas of focus for these two groups were Family, Friends and Music. It was also noted that online has surpassed the mall for places teens hangout. FOBO (Fear of Being Offline) is the new FOMO, and it’s a real thing that’s not going away, especially with the digital first world we now live in. We as marketers need to evolve the way in which we operate our businesses and think more from a digital first mindset. We can’t simply apply old techniques to new technology. You must embrace digital, stop supporting silos and invest in vision. Those who do will continue to build trust and thrive.